Rogier de Jager, European vice president for Oman Air, tells Breaking Travel News how the new terminal at Muscat International Airport has been received by passengers. Speaking at ITB Berlin, he also tells us about plans for new flights to Greek capital Athens. 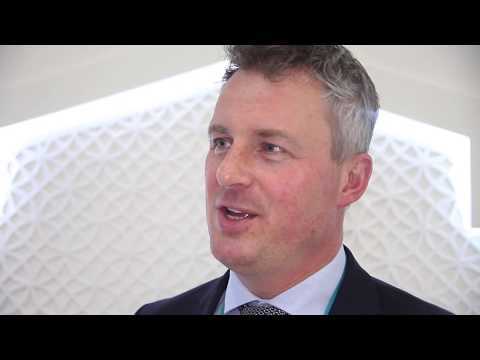 Breaking Travel News speaks to Rogier de Jager, regional vice president, Europe, and Kelpesh Patel, UK country manager, Oman Air, at World Travel Market in London. They reveal how the new terminal at Muscat International Airport has transformed operations at the carrier while also revealing more about new destinations currently being added to the route map. The advanced airplane will help Oman Air meet its commitment to further enhance operational efficiency by flying a young, modern and safe fleet. Oman Air has introduced a new WhatsApp service which enables its guests to communicate instantly with airline staff via the popular app. Oman Air is currently undergoing a fleet and network expansion programme, which will see the airline operate up to 70 aircraft to around 60 destinations by 2022. Oman Air has made premium comfort amenities available for all on selected flights in time for Eid Al Adha. The airline is committed to maintaining its award-winning standards and continues to offer an enjoyable onboard experience. Under the expanded codeshare agreement, passengers can now travel on Oman Air flights from Muscat International Airport and connect to Madrid, Brussels, Vienna and Prague from Lufthansa’s Frankfurt and Munich hubs.